How easy is it to put someone off something they would otherwise enjoy? How able are we to prevent our children finding pleasure in an experience because of negative associations? I’d really like to know because my three children have, respectively, Minecraft/Crossy Road/Sims Addictive Disorder. This, along with a deep-set addiction to teeth rotting sweets and junk food and a compulsion to take pleasure from causing each other distress are the root cause of most of the familial disharmony in the Fearn household. You might be forgiven for thinking it is pretty easy to put children off these pleasures. The fear of ‘putting children off’ from learning seems to haunt teachers and even parents to such an extent that they will go to great lengths to avoid their children developing even the merest association between a desired good and pain, boredom or even a mild sense of ennui. Using such logic all I needed to do to stop a predilection to chocolate fudge cake was to give it as a punishment. I should have replaced five minutes on the naughty step with a session on the ‘naughty ipad’ and all desire to fritter time on Clash of Clans would disappear. There are always exceptions but such tactics wouldn’t work or parents would be using them. I think it would take some pretty full on and scarily warped conditioning techniques to create the sort of negative associations that would put most children off such obvious pleasures. On twitter today I admitted that when my children are naughty I have sometimes given them lines from Jane Austen’s Sense and Sensibility. I pointed out, only half- jokingly, that while the lines were the punishment, the fact they were able to copy them from Jane Austen was a privilege. It means they now know those beautifully crafted first lines virtually by heart and funnily enough they continue to read avidly – because they find reading fun. It is an obvious pleasure. My husband once gave my girls the Hobbit to do lines from. It worked a treat in terms of provoking a desire to read more of the book and our daughters took great pleasure in pointing out what a failure that punishment was. If you fear that the merest association with negativity would put your student off just what does that say about the actual confidence you have in the pleasure that can be gained from the subject matter? 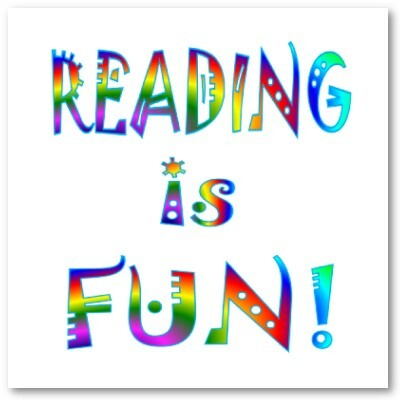 Teaching my child to read before school would put them off learning as they would be bored. Making my child practice reading when they did not want to would put them off books. Making my child do extended practice to automaticity in maths would make them hate maths. Lessons that did not involve snazzy and exciting activities would put my students off history. None of this has proved to be true. In the case of reading there is a confusion. The motivation to read comes from interest in the subject matter in the book not whether you enjoyed the mechanics of reading acquisition. How many children don’t get enough practice to be able to read fluently (and thus enjoy books) because parents or teachers feared compulsion would ‘put them off’? It is tragically counter-productive. I think it is very much harder than is assumed to persuade anyone that they do enjoy what they don’t or don’t enjoy what they do (whatever the positive or negative associations)! The idea you can create innate enjoyment in a school subject from sugar coating activities is pretty questionable. I suppose doing so can act as a successful bribe. A child might grow to love an activity once they get into it and that might need bribery or coercion! However, I can think of nothing more pointless than trying to persuade a child that will not read for pleasure that reading is fun. For them it clearly isn’t. If it was fun for them they would read. Rather than trying to psychologically manipulate the child you could insist a child reads so they get the practice needed to read more fluently. You could give a child subject matter they find more interesting or take away more instant forms of gratification so they persist with a book. However, no matter how many posters you stick up you won’t convince people to enjoy what they find boring. If they can’t see that they are making progress with what they are learning it can be disheartening. Sometimes the subject matter IS genuinely less interesting for many students, for whatever reason. The problem isn’t that students have negative associations with otherwise interesting subject matter. You can put students off by teaching them material they have no access to. A child might avoid exposure to such material in the future as they assume they will find it boring when in fact they will grow to like it. The pleasure may be so marginal that bribery is enough to destroy intrinsic motivation to pursue it. However, the idea that generally negative associations can put children off what they would otherwise find interesting needs challenging.